Join Dr. Paul Corona, MD, with award-winning radio talk show host Mark Alyn as he discusses weekly solutions that help pinpoint neurochemical disorders and address best treatments for stress, depression, anxiety, bipolar symptoms, pre- and post- menapausal issues and much more. 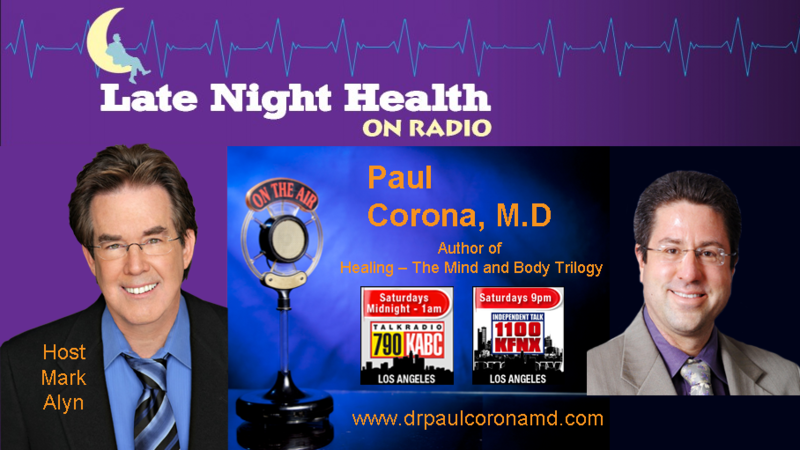 Tune in live to 790 KABC every Saturday at midnight or to 1100 KFNX every Saturday at 9:00 p.m. for this best-selling author and “doctor for the people,” Dr. Paul Corona. Or, simply click into this archive of recorded shows any time!